Közhely, hogy rohanó napjainkban alig jut idő valamire, ami kiszakít minket a hétköznapokból. Ezen a héten szerdán azonban sikerült! Megcsináltuk! 23-an gyűltünk össze egy budapesti lakásban, aprítottunk, fűszereztünk, kavargattunk, töltöttünk, forraltunk és ettünk. 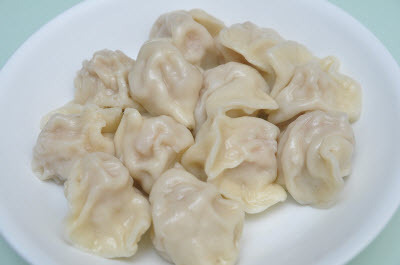 Dumplingot (水餃， 餃子). Nagyszerűen sikerült az este. A nyár végén Tajvanba utazó új ösztöndíjasok, korábbi ösztöndíjasok, a budapesti tajvani diákok egy részének és a Taipei Iroda munkatársaival rendületlenül gyártottuk a dumplingokat. As part of the Republic of China’s (ROC) centenary celebrations, Radio Taiwan International (RTI), the ROC’s national broadcaster, invites foreign nationals to celebrate this historic occasion through paintings. The top three prize winners will win a cash prize of up to US$1,000 and a 7-day, 6-night package tour around Taiwan. Additionally, the winner of the most online votes will receive one Apple iPad 2. 20 participants in the online voting will also be randomly selected to receive one RTI retro-style radio each. A panel of five professional judges will chose the 100 winning paintings. Evaluation will be based on each piece’s thematic expression (40%), creativity (30%), and use of color (30%). Entries must be A3 sized (420mm x 297 mm) for paintings in traditional media, or 720 dpi in JPG format for digital paintings. The submission period is from April 15, 2011 to July 31, 2011. Entries received after July 31, 2011 will not be accepted. 1. Applications should be sent online, separately from the artwork. Each applicant’s unique application ID number must be noted on his or her submitted artwork or CD. More than one piece may be submitted per person, but a new application must be filed for each new piece. 2. If the applicant cannot apply online or wishes to apply through post, the applicant can attach his or her contact information on the back of the painting being submitted. The information must include full name, age, nationality, phone number, contact address, and the title of the artwork. 3. Applicants who have completed the online form can write only the title of the artwork, the artist’s name, and the unique application ID number. 4. Do not fold or bend the artwork when sending. 6. The applicant must note his or her full name and application ID number on top of the CD. 1. The Applicant agrees to grant permanent permission, free of charge, to the Organizer and any authorized third parties, in regard to the use of the Applicant’s artwork in promotional materials and event websites; the Organizer maintains permanent right of use over said artwork for public display, reprinting, or distribution. 2. Each piece may only be submitted once. Each Applicant is responsible for: ensuring that his (or her) entry is an unpublished original made by the Applicant himself (or herself); ensuring that the entry does not infringe on the intellectual property rights of other entities or other legal protections. Should any third parties claim infringement based on an Applicant’s entry, it is not the responsibility of the Organizer, and the Organizer reserves the right to disqualify that Applicant; the Applicant must accept all legal responsibilities. 3. The Applicant agrees that should an entry be damaged or lost in transport, the Organizer need not accept any legal responsibility. Entries will not be returned to an Applicant for any reason. 4. The Organizer will provide the top three winning Applicants with food and accommodation arrangements for domestic travel in Taiwan from October 5, 2011 to October 11, 2011, so far as is listed in the Organizer’s itinerary. The costs of any activities outside of said itinerary are the responsibility of the Applicant. 6. In the event that a winning Applicant is not a legal adult, he or she must be accompanied to Taiwan by a legal guardian or designated proxy; that guardian is responsible for his or her own expenses. Should a winning Applicant who is a legal adult need to bring a companion for personal reasons, that companion is responsible for his or her own expenses. 7. The three winning Applicants may not exchange or transfer their eligibility for their food and accommodation arrangements; in the event that any of the winning Applicants cannot come to Taiwan during the designated time period of October 5, 2011 to October 11, 2011, he or she will automatically forfeit the food and accommodation arrangements. Said Applicant may not request changes be made to the itinerary. Said Applicant’s due prize money will be remitted into the Applicant’s designated bank account. 8. In accordance with ROC tax regulations, foreign residents who have been in Taiwan for 183 days of the year or more, and who win cash or any other award will have 10% of the value of any such award deducted as tax. Those who have been in the country less than 183 days will be taxed 20% in the same manner. 9. An Applicant’s submission is seen as his or her agreement to the regulations stipulated for this contest. The Applicant’s written assent is not required for these regulations to take effect. If an Applicant or entry to the contest is found not to meet the qualifications outlined herein, the Organizer reserves the right to disqualify that Applicant and recover any prizes awarded. 10. In case of any discrepancy, the Chinese language version of the rules and regulations, as listed on the event’s website, shall prevail. The Organizer reserves the right to cancel, adjust, modify, terminate, interpret, and delay the event. Should the terms of this event change at any time, the terms as written on the event’s website shall prevail.